Four members of the Club Website community are among the unsung heroes of grassroots football being celebrated at Wembley Stadium this weekend. Chris and Bev Maull of Swindon Spitfires, Gerard Redman of West End AFC in Denton and Angela Reed of Invicta Sunday FC in Aylesbury will be guests at the National FA Community Awards Ceremony on Sunday as nominees for the 2015 People's Award, which recognises some of the grassroots game's hardest working volunteers. Voted for by the public, the People's Award shortlists regional award winners from the Outstanding Contribution to Community Football category at this year's FA Community Awards, with final results announced at the ceremony ahead of the Community Shield between Chelsea and Arsenal. Each of the finalists is a bonafide grassroots football hero and the life and soul of their club, who have dedicated their lives to their local community and those people in it. All of the nominees are deserving of your vote but, as Swindon Spitfires, West End AFC and Invicta Sunday FC are part of the family - all use websites powered by Club Website - we want to champion the causes of Chris and Bev Maull, Gerard Redman and Angela Reed in particular. 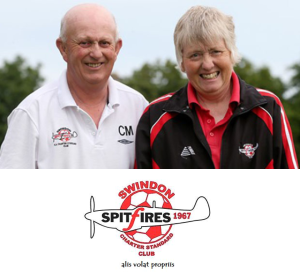 Chris and Bev have both contributed an enormous amount to Swindon Spitfires - one of the oldest female football clubs in the country. Chris helped setup the club in 1967 and has been instrumental in its development since, taking on the roles of manager, coach, chairman, coach driver, referee and many more at various times in the club's history. Today Chris holds the role of club president and groundsman, while he also serves the tea on match days. Bev joined the Spitfires as a player in 1970 and, since then, has proved herself a club stalwart just like her husband. She continues to be actively involved on and off the pitch in her many and varied roles, including coach, manager and club secretary - all positions she has held since 1974! The couple, who won the South West Regional FA Outstanding Contribution to Community Award, have shown an unquestionable desire to develop football in their community and the women's and girls' game in particular. They are regarded in their community as very special people and are greatly respected by all who know them. To vote for Chris and Bev visit thefa.com/peoplesaward and click the arrow next to their names (you'll need an FA login to vote). Gerard is the chairman of West End AFC in Denton, Greater Manchester - a club that provides football to 250 boys and girls aged five to 16 years old. Ged, as he is known, joined West End in 1988 and has become the driving force behind the club, dedicating incalculable hours of his time. 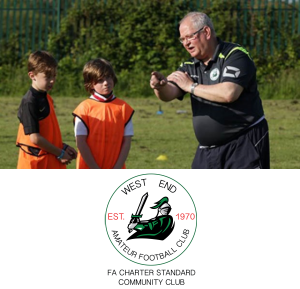 In his 27 years at West End AFC, Ged has been involved as a parent, coach, manager and now splits his time between the roles of chairman and club welfare officer. Ged, who won the regional outstanding contribution award in the north west, continuously strives to improve the experience of grassroots football for hundreds of youngsters in his local area and is regarded by everyone in his local community as a true grassroots hero. To vote for Ged visit thefa.com/peoplesaward and click the arrow next to his name (you'll need an FA login to vote). Angela founded Aylesbury's Invicta Sunday FC in 1990. The team, the third longest-serving member of the Maidstone & Mid-Kent Sunday League, is still going strong today thanks to Angela's tireless work for a quarter of a century. Their club secretary, kit washer, match organiser and even occasional stand-in linesperson has only missed two matches in 24 seasons and has won the League Secretary of the Year award five times. Angela, who won the South East Regional FA Outstanding Contribution to Community Award, is an inspiration for her commitment to Sunday league football and, without her determination, Invicta Sunday FC would not exist today. “I am just astounded that my nomination has got to the final eight nationwide!" a delighted Angela told KentFA.com. "It’s all a bit too much to take in, surreal even! I just enjoy being a part of the football family and like any family, Invicta Sunday, has been through it all but we are still going. To vote for Angela visit thefa.com/peoplesaward and click the arrow next to her name (you'll need an FA login to vote). Congratulations and good luck to Chris, Bev, Ged, Angela and to all of the nominees. We hope you have a fantastic day on Sunday - you deserve it! To vote for your grassroots football hero visit thefa.com/peoplesaward, where you can also read more about the work of all of these amazing volunteers. Voting is open until 31 July 2015.